Board of Critics Prize: 3,000 Euro. Recipients: Veriko Tchumburidze, Bomsori Kim. Board of critics incl. 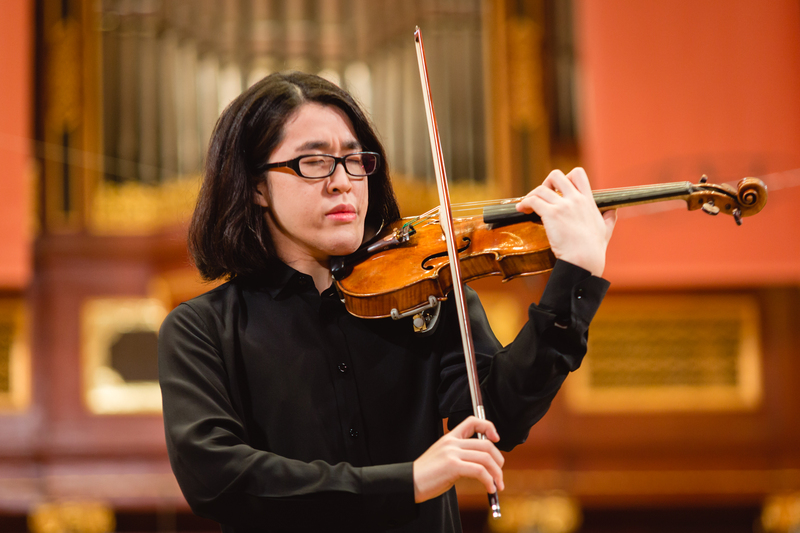 Adam Olaf Gibowski, Jacek Hawryluk, Robert Kamyk, Konrad Mielnik, Jakub Puchalski, Adam Rozlach and Dorota Szwarcman took a unanimous decision to award prizes to two violinists: Bomsori Kim, for her musicality and beauty of delivery, sense of style and finesse of playing, virtuosity and diversity and culture of sounds, and to Veriko Tchumburidze for her unconventional and charismatic artistic personality, temperament, bravado and dramatic quality, as well as for imbuing each sound with emotions and meaning. Young Person’s Jury Prize of 3,000 Euro endowed by Volkswagen Poznań Sp. z o.o. was awarded to Veriko Tchumburidze for uncommon and highly expressive artistic personality, amazing interpretations, youthful verve in performing music, authenticity and originality, stage unpredictability. Recipients: Robert Łaguniak and Semion Gurevich. Recipients: Celina Kotz and Amelia Maszońska. Violin cases from company Artonus for the finalists of the Competition (2nd through 7th places). Prize of the Mazury Philharmonic for winners of the 1st, 2nd, and 3rd prize: concert with the Mazury Philharmonic Orchestra in Olsztyn on 27 October 2016. Recipients: Veriko Tchumburidze, Bomsori Kim, and Seiji Okamoto. 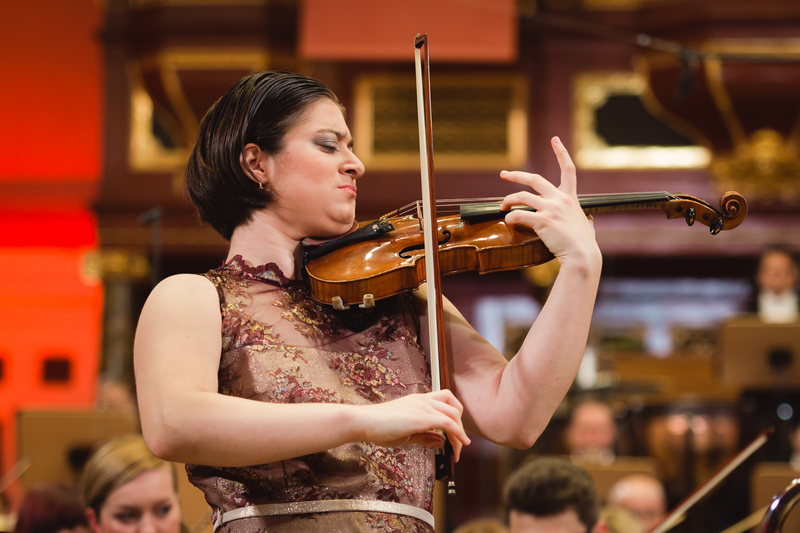 Prize of the Warsaw Philharmonic for the winner of the 1st prize: concert with the Mazury Philharmonic Orchestra at the Warsaw Philharmonic Concert Hall on 28 October 2016. Prize of the Polish National Radio Symphony Orchestra (NOSPR) for winners of the 1st, 2nd, and 3rd prize: concert with the NOSPR Orchestra in Katowice on 30 October 2016. Prize of the Baltic Philharmonic for winners of the 1st, 2nd, and 3rd prize: concert with the Baltic Philharmonic Orchestra in Gdańsk on 4 November 2016. Prize endowed by Prof. Władysław Szymański, Rector of Karol Szymanowski Academy of Music in Katowice, and Dr Szymon Krzeszowiec, Artistic Director of International Violin Festival in Katowice for the winner of the Competition: recital during 4th edition of the Festival in Katowice in November 2016. 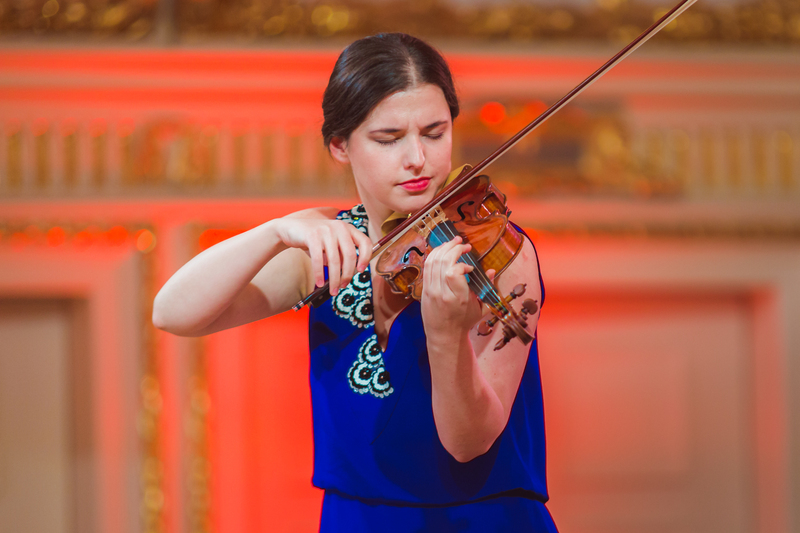 Prize endowed by Foundation For Music Education Support for winners of the 1st, 2nd, and 3rd prize: concert in Sankt Petersburg on 8 November 2016. Prize of the Łódź Philharmonic for winners of the 1st, 2nd, and 3rd prize: concert with the Łódź Philharmonic Orchestra in Łódź on 11 November 2016. Prize of ”Amadeus” Polish Radio Chamber Orchestra for the winner of the Competition: performance of a W. A. Mozart concerto with ”Amadeus” Polish Radio Chamber Orchestra in Poznań on 27 November 2016. Prize of the Silesian Philharmonic for the winner of the 2nd prize, and the best Polish participant of the Competition: concert with the Silesian Philharmonic Orchestra in Katowice on 10 December 2016. Recipients: Bomsori Kim and Seiji Okamoto, as well as Maria Włoszczowska. 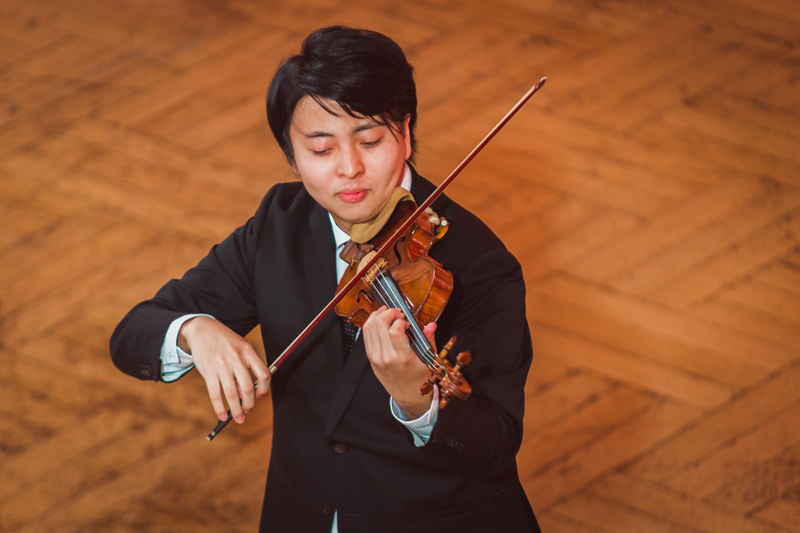 Prize of Yehudi Menuhin Forum Bern for a prize-winner of the Competition: recital in Bern, Switzerland, in 2017. 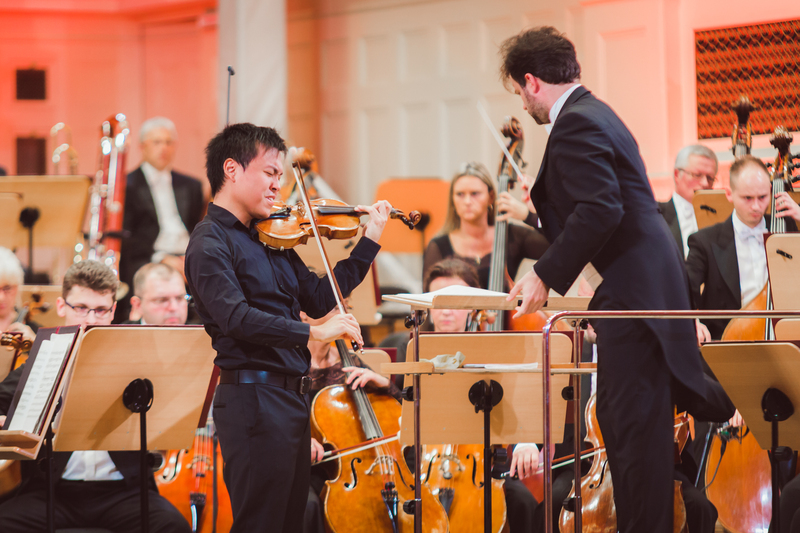 Prize of the Opole Philharmonic for the best Polish participant of the Competition: concert with the Opole Philharmonic Orchestra (performance of a H. Wieniawski violin concerto) in Opole on 11 November 2016. Prize of the Opole Philharmonic for the winner of the 2nd or 3rd prize: concert with the Opole Philharmonic Orchestra in Opole on 25 November 2016. Prize of the Opole Philharmonic for the winner of the Competition: concert with the Opole Philharmonic Orchestra in Opole on 29 September 2017. Prize for the winner of the Competition: performance at the Schleswig-Holstein Festival in 2017. Prize for a prize-winner of the Competition: concert at the Gdańsk Music Festival on 3 April 2017. Prize for the winner of the Competition: performance at the Verbier Festival in 2017. Prize for winners of the 1st, 2nd, and 3rd prize: concert with Maestro Maxim Vengerov at the Musica Mundi Festival in Brussels on 28 July 2017. Prize endowed by the Casa da Música Orchestra for a prize-winner of the Competition: performance at the Casa da Música in Porto, Portugal, in 2018. Prize of Pro Sinfonika Movement for an outstanding personality of the Competition: concert in 2017/2018 season for the violinist selected by Pro Sinfonika listeners. Prize endowed by Maestro Long Yu for the winner of the Competition: a concert in China. Prize endowed by the Melbourne Symphony for a prize-winner of the Competition: a concert with the Melbourne Symphony Orchestra. Prize of W. Lutosławski Płock Symphony Orchestra for a prize-winner of the Competition: special concert to mark the Orchestra’s 40th anniversary on 27 January 2017. Prize endowed by Prof. Andrzej Przyłębski, Polish Ambasador to germany, for the winner of the Competition: concert with the Poznań Philharmonic Orchestra in Berlin on 11 December 2016. Prize for the winner of the Competition: concert at 52nd International Henryk Wieniawski Festival in Szczawno-Zdrój in June 2017. Prize of the Capella Cracoviensis Foundation, organiser of the “Music in Old Krakow” festival for the winner of the Competition: recital at 42nd edition of “Music in Old Krakow” festival on 16-30 August 2017. 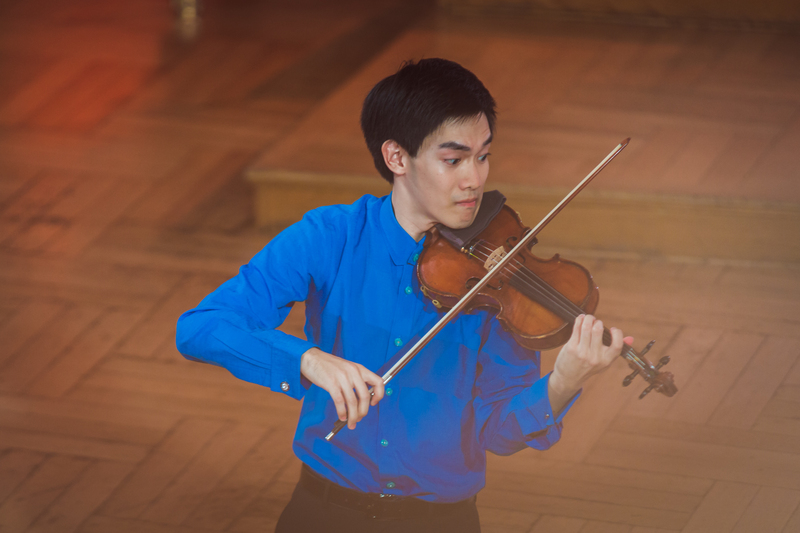 Prize endowed by the Wiłkomirski Family Foundation for the most promising Polish participant of the 15th International Henryk Wieniawski Violin Competition: three recitals in 2017. Prize of International Krystyna Jamroz Music Festival in Busko-Zdrój for winners of the 1st, 2nd, and 3rd prize: recital on 2-5 July 2017. 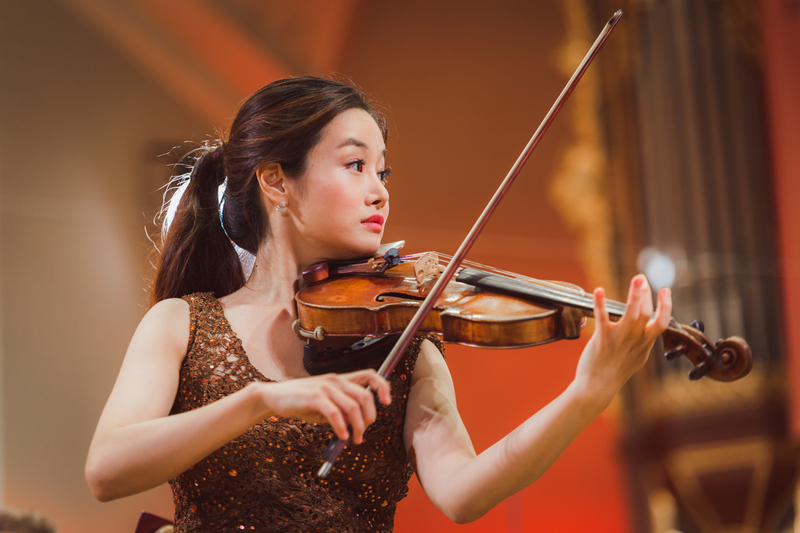 Prize endowed by Ludwig van Beethoven Association for the winner of the Competition: recital at 21st Ludwig van Beethoven Festival in Warsaw in 2017. Prize endowed by the Sinfonia Varsovia Orchestra for the winner of the Competition: concert with the Sinfonia Varsovia at the Polish National Opera in Warsaw on 23 March 2017. According to Polish tax regulations, all cash prizes are subject to 10% tax paid by competition organizer. All other cash and non-cash prizes endowed by individuals and institutions should be reported to the secretariat of the competition prior to commencement of the event. When approved by the secretariat, these prizes shall receive the status of extra-statutory distinctions. Cash prizes shall be paid in the currency in which they were deposited by the contributor.